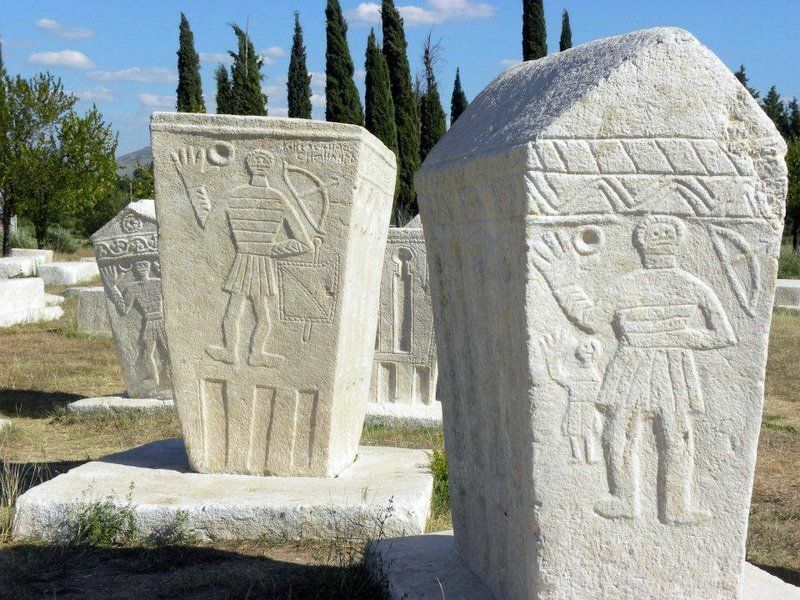 Radimlja Necropolis is necropolis of tombstones near the city of Stolac. 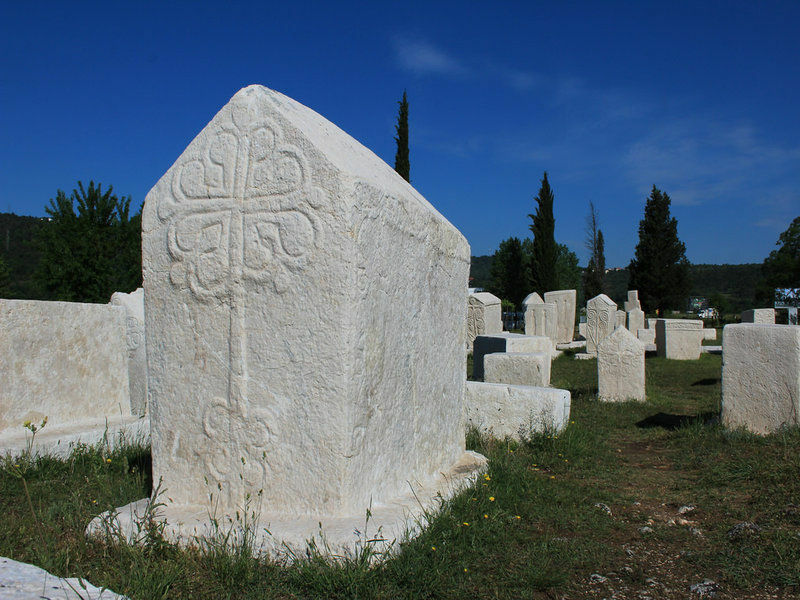 These specific tombstones are specific for Bosnia and Herzegovina and they are called „stećak“ (singular, plural: stećci). 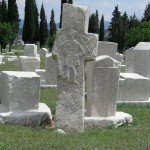 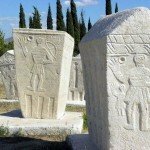 They are monumental medieval tombstones and besides Bosnia and Herzegovina, you can find them in border parts of Croatia, Montenegro, and Serbia. 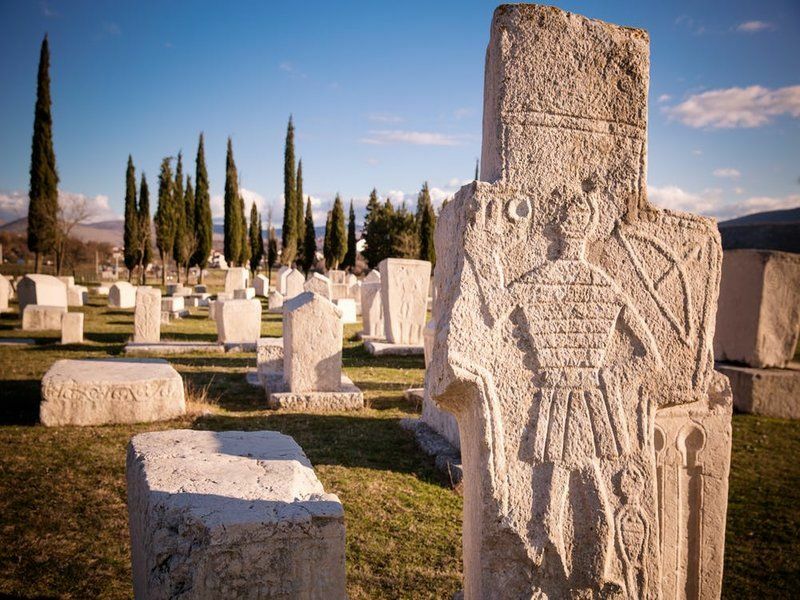 Radimlja Necropolis is located in Vidovo Polje and represents one of the biggest stećak necropoleis in Bosnia and Herzegovina. 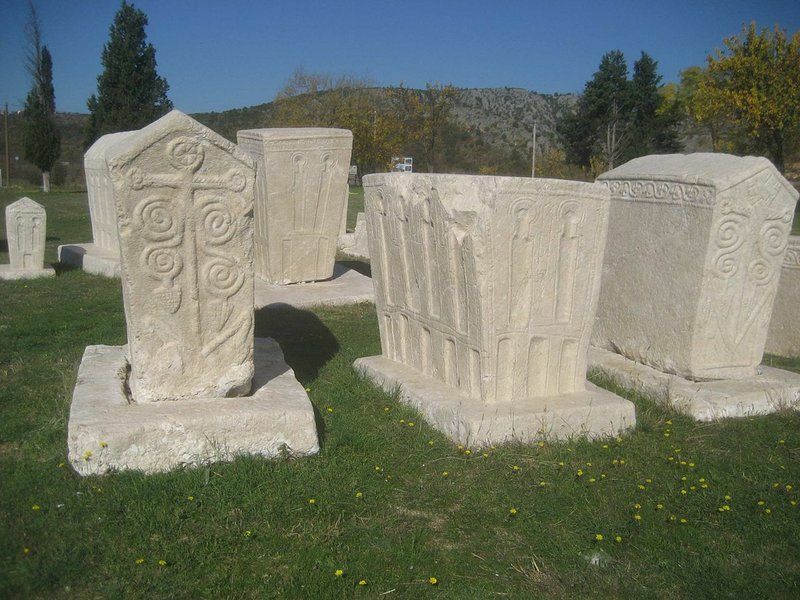 By the characteristics of the necropolis (number of tombstones, diversity, highly artistic decoration, representation of all the basic shapes) we can say that this one is one of the richest and most valuable necropoleis. 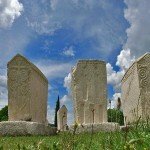 Also, it is one of the most valuable monuments of the medieval history of Bosnia and Herzegovina. 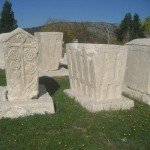 Most of this tombstones date from the end of the 15th century and whole 16th century. 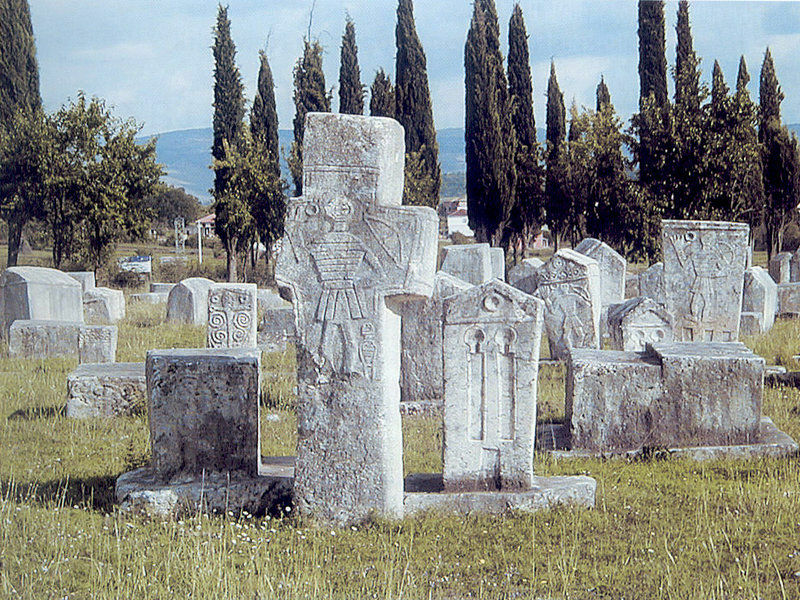 The Vlachs that were living in that area created this necropolis. 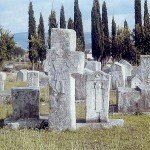 As a result of their economic growth, the necropolis started to grow as well. 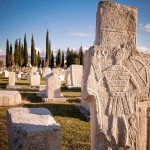 Today the necropolis has 133 tombstones. 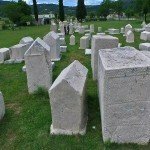 That number was even bigger but some of the tombstones were destroyed in the Austro-Hungarian period. 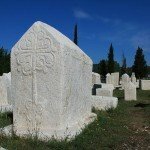 They were building a road that is going through necropolis and destroyed at least 15-20 tombstones. 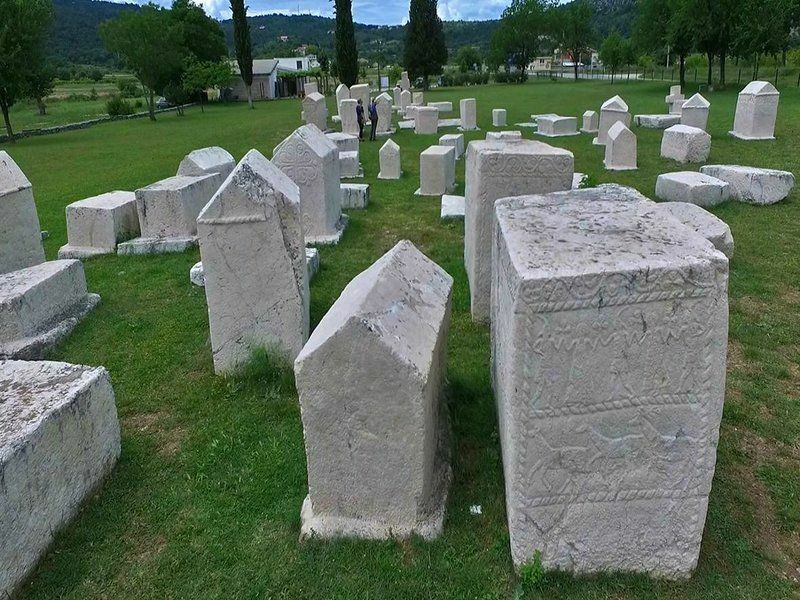 In that 133 stećci (tombstones) you can find 9 different types of them. 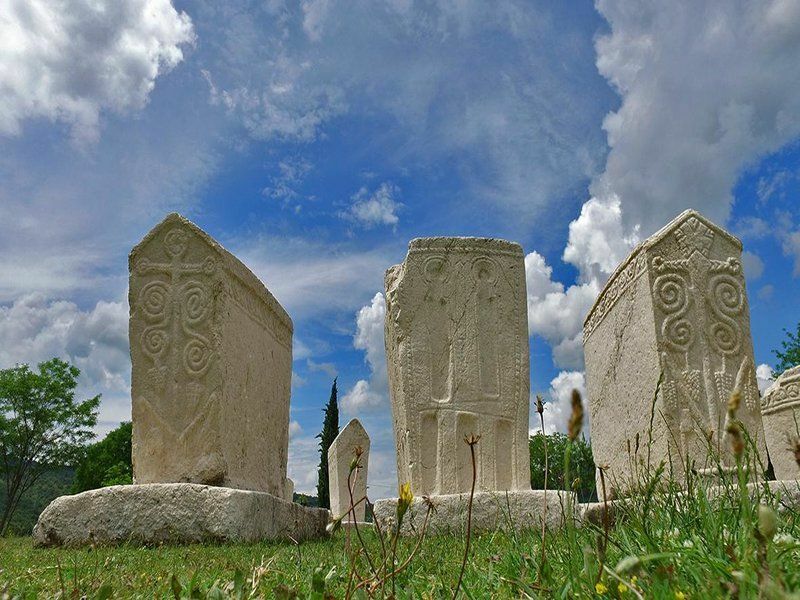 All of them has a specific characteristic and decoration. 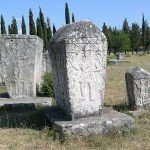 Also, excavation has shown that this area was used even before the medieval ages for burying people. 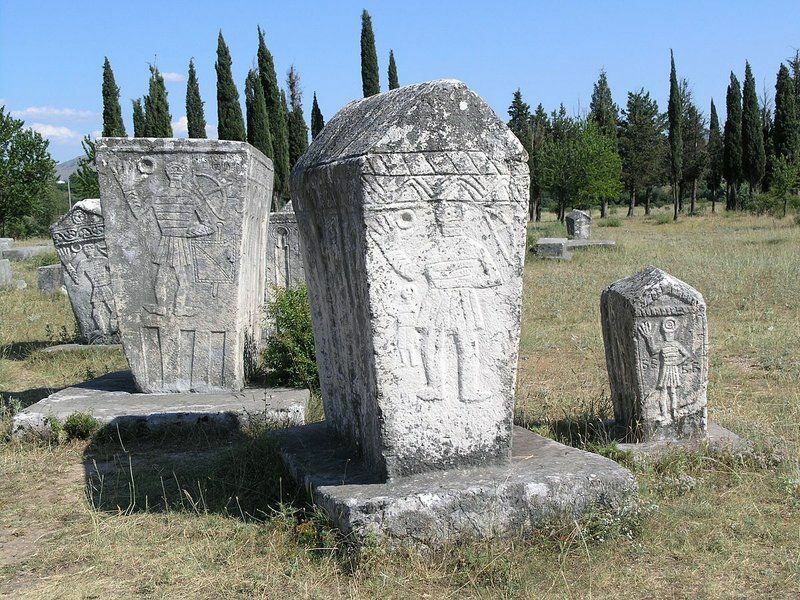 On November 5th, 2002, the Commission to Preserve National Monuments of Bosnia and Herzegovina decided to proclaim this historic area, Radimlja Necropolis near Stolac, a national monument. 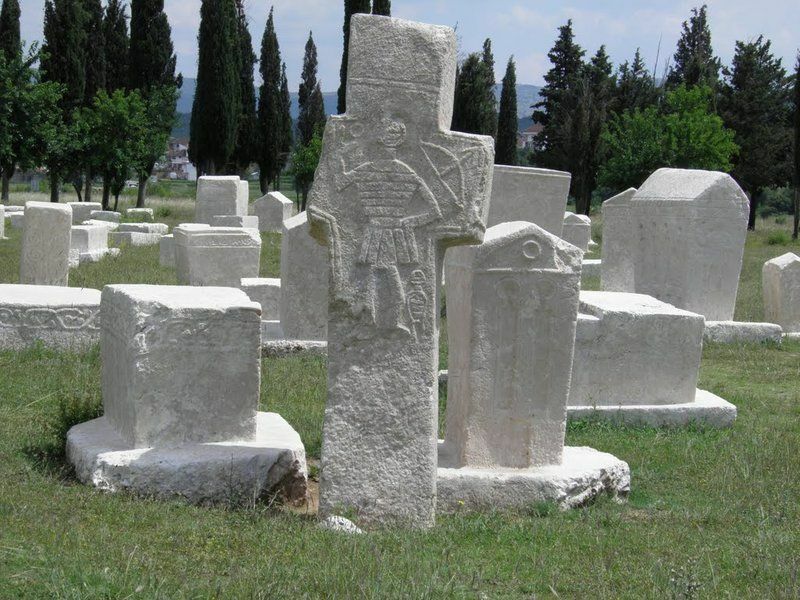 This pointed out the value of necropolis and marked Radimlja Necropolis high on the touristic map of Bosnia and Herzegovina.